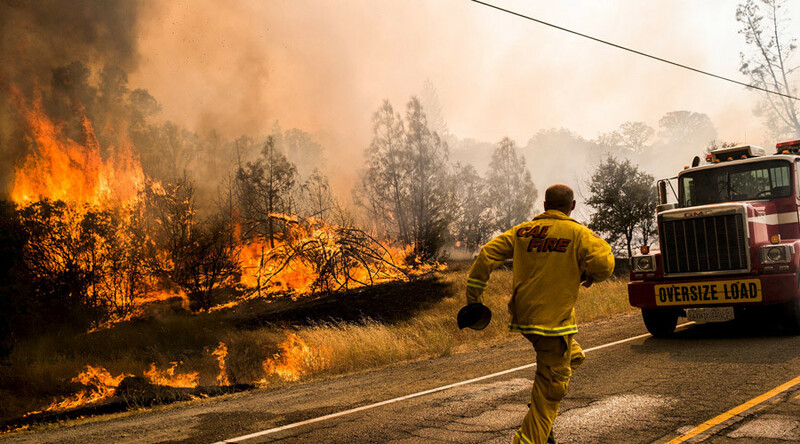 Thousands have been evacuated as a wildfire in northern California grew to engulf 60,000 acres. As firefighters struggle to contain the flames, state officials say the dried-out vegetation and swirling winds helped the blaze spread in all directions. 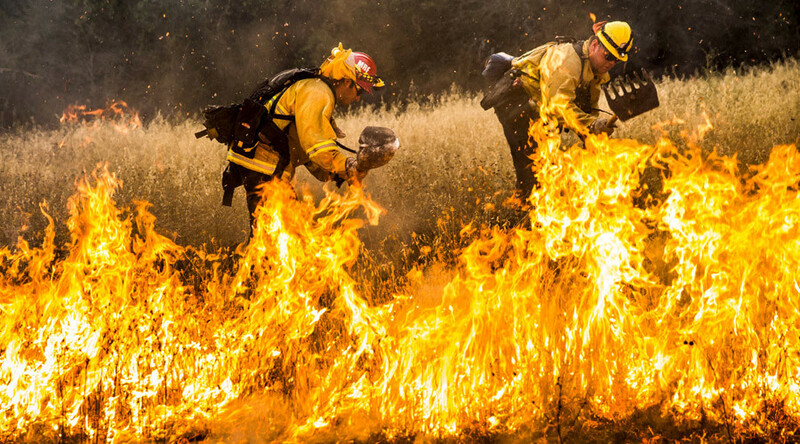 The worst wildfire currently affecting California, the “Rocky fire,” has engulfed 60,000 acres (94 square miles). As of late Sunday, the fire has consumed 24 homes and 26 outbuildings. With the flames threatening over 6,000 homes, authorities have ordered 12,000 local residents to evacuate. This just in - #RockyFire east of Clear Lake is now 60,000 acres & 12% contained. On Saturday, the fire was ravaging some 20,000 acres, spreading to 54,000 by Sunday, affecting the counties of Lake, Yolo and Colusa. Monday morning estimates put it at 60,000 acres and 12 percent contained, with lower temperatures and higher humidity reportedly helping slow the spread of the firestorm.Nearly 3,000 firefighters are battling the blaze, with 254 water engines, 59 crews, 38 water tenders, 19 helicopters and 58 bulldozers, according to Cal Fire reports. The California and Colorado Air National Guards have sent four C-130 air tankers to assist operations. Firefighters say they expect full containment by August 10. Other wildfires have burned over 10,000 acres across the state. On Friday, California Governor Jerry Brown declared a state of emergency. The state has adopted water rationing as it continues to struggle with the worst drought in over a century.